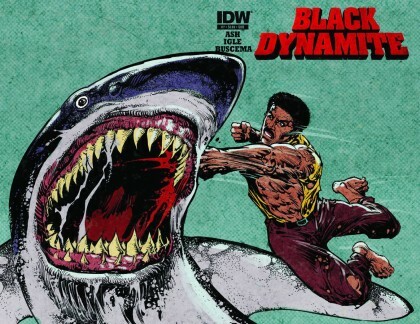 JUSTIN’S PICK :: BLACK DYNAMITE #1: Black Dynamite has gotten staggering mileage for a cult-spoof introduced a half-decade ago. Some things – pomade, French fries, Blaxploitation – just never go out of style. Writer Brian Ash penned the wonderful (and now evidently rare) Slave Island one shot for Ape Entertainment in 2011; now, IDW is serving up the funky fury, with Ash aided and abetted by Ron Wimberly (!) and Sal Buscema (!!!). This is the first of a four issue series, so sharpen your ninja stars, break out the Nag Champa, and settle in for some quality funnybook entertainment. 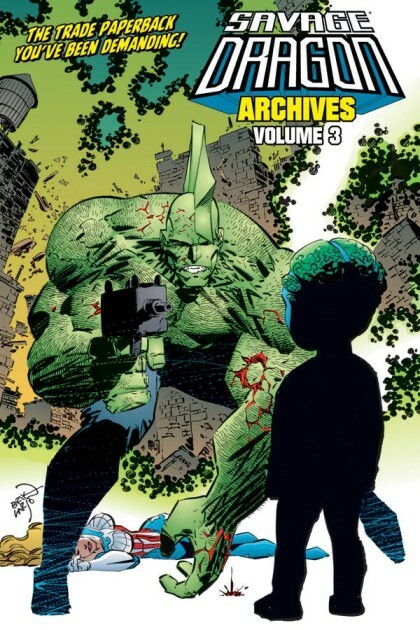 BONUS PICK :: SAVAGE DRAGON ARCHIVES TP VOL 3: Plagued by delays, volume three of Erik Larsen’s Savage Dragon Archives finally hits the stands. This bargain collection – in the format of Marvel’s Essential and DC’s Showcase trades – is the easiest and most affordable way to catch up on Image’s most underrated ongoing. This volume really drives home how daring Larsen is as a creator; for example, Dragon’s not even the star at the outset! It’s the sensational She-Dragon at that point! This third volume of Archives ramps up the crazy, culminating in the series-shattering issue 75, where everything changed forever. If you’re sick of the spurious changes and relentless retcons of most mainstream superhero mags, Savage Dragon is your safety haven. JUSTIN’S PICK :: SAVAGE DRAGON #190: Periodically, I am honor-bound to pick Savage Dragon, because it is my favorite superhero comic. I think it’s a truly underappreciated and misunderstood book, still mired in a reputation hewn from the abysmally embossed 90s. 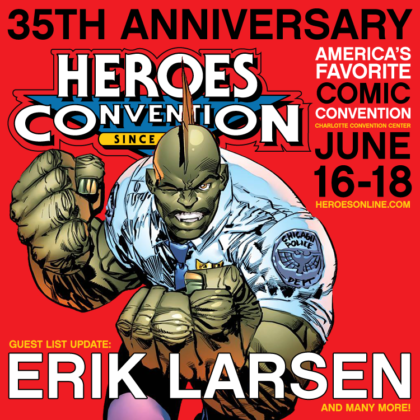 What most people fail to see is that series perpetrator Erik Larsen is a dedicated craftsman who takes plenty of chances when he could just coast by on the fumes of nostalgia. He consistently pushes himself as a writer and an artist, from the book’s driving real time concept (i.e. the characters age with the rest of the world) to stunts like he’s pulling with issue #190. You can opt for the standard sized issue, but Larsen has also reformatted the book’s contents into a 64 page digest edition, wholly as an exercise in the versatility of print media. This is another example of Larsen’s willingness and ability to take chances, and take full advantage of the potential Image Comics engendered at its outset. 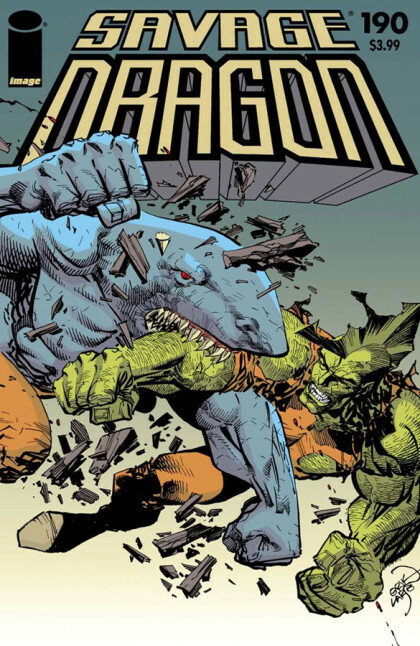 If you needed any more persuading, Dragon also battles one of his more vicious baddies, the shark-man Mako, amid a prison full of supercrooks. A must! 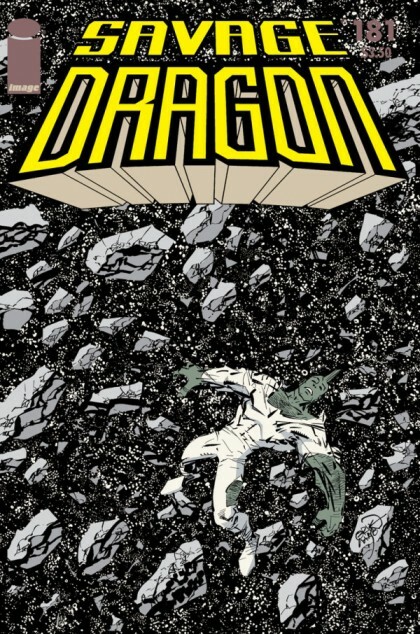 JUSTIN’S PICK :: SAVAGE DRAGON #186: Savage Dragon is my favorite long-running super hero comic. Perpetrator Erik Larsen just gets the mechanics of the ongoing format (which is fast becoming a lost art nowadays, with reboots, re-numberings, ret cons and so on), and every year or so the book cycles back to a point of accessibility. 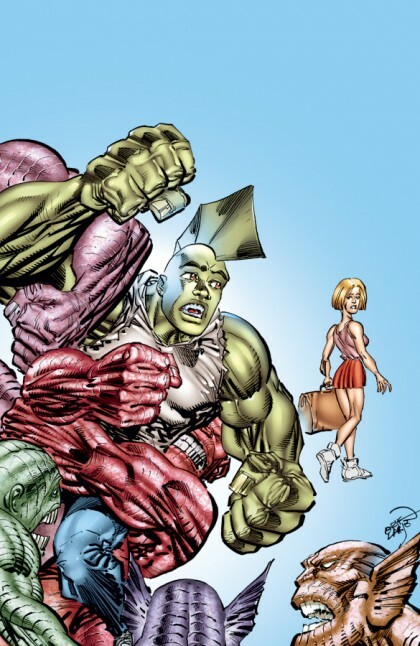 The current arc, Savage Dragon on Trial, is one of those, addressing a deadly identity crisis the titular hero endured a while back. It’s an easy way for readers to get caught up on current continuity. It can be intimidating to pick up a book with such a long and rich history, but that’s legion for comics. Part of the fun is filling in the blanks as you go. And the driving concept of the book – its real time storytelling – keeps the cast fresh and vital. JUSTIN’S PICK ::: Still my favorite superhero title going today. This issue wraps up a big arc, and who knows what crazy direction Erik Larsen will take it in next? That’s what’s kept me coming back all these years, the unpredictable plot twists. And the fact that the cast ages in real time lets the audience grow with them, to boot. An underrated gem.